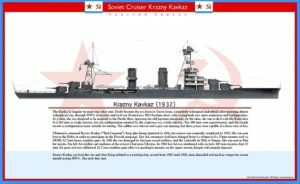 The Krasny Kavkaz is singular in more ways than one: Firstly because she was an old ship completely redesigned and rebuilt (a cruiser of the Svetlana class first drawn in 1913), but also by her main armament and general configuration. At the time, she was to be assigned to the Pacific fleet, opposed to the old Japanese antagonist. Specifically she had to deal with the Kako class (6 x 8-in or 203 mm in single turrets) cruisers, the configuration retained by the Russians being somewhat inferior. Indeed her 180 mm were experimental, and the simple turrets a configuration more suitable for testing. The caliber was also inferior and the Russians but these fewer 180 mm pieces were capable of a faster rate and were not inferior in range. The Kavkaz however would have a quite different active life. She remains one of the most unique and distinctive designs of the interwar. 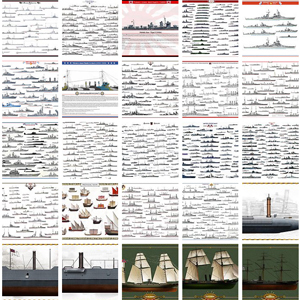 The history of this ship began on the eve of the First World War. 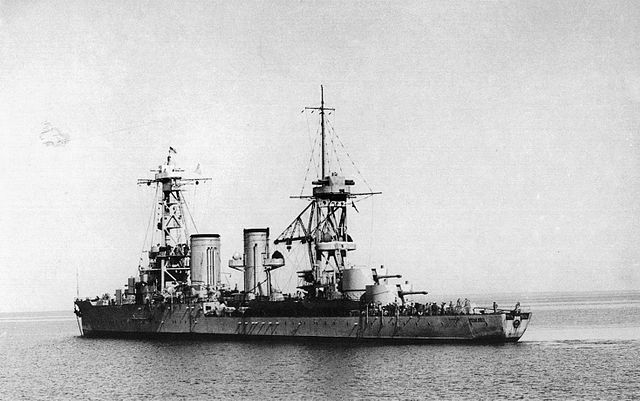 In October 18, 1913 in Nikolaev, two new light cruisers were being laid down. One of them was named “Admiral Lazarev.” The hull was launched on June 8, 1916, but never completed in the tsar’s time. She was left completely abandoned, 63% completed, moored in a remote corner of the naval yard. She saw the passing of the regime and the revolution, the civil war, and the rebuilding of the state and the yard. 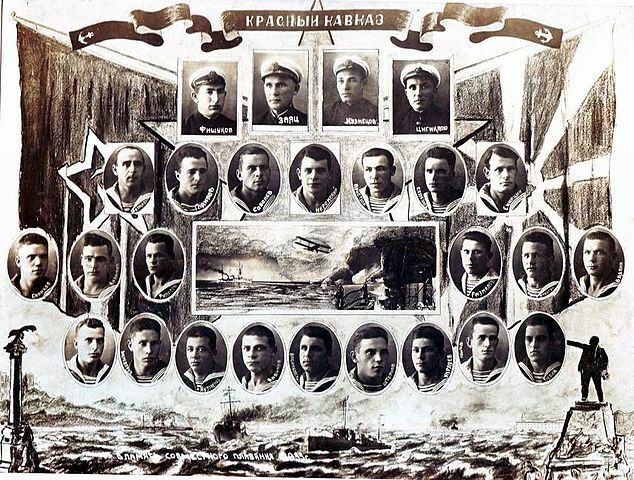 In the second half of 1918, the Marine Department of Hetman Pavlo Skoropadskyi was mobilize to complete of ship for the White Russians, formally renamed “Hetman Petro Doroshenko”. The yard was later recaptured, and the hull was relatively undamaged. Only in 1927, workers, engineers and the military rose again on the deck of the cruiser covered with rust and overgrown with weeds. She has been renamed on December 14, 1926 “Red Caucasus”, and departed from the pier. 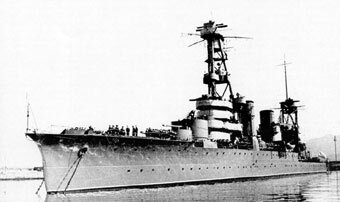 She undergone a long reconstruction from 1927 to 1931 and having successfully passed all the stages of acceptance tests, the newly built cruiser on January 25, 1932 entered service. 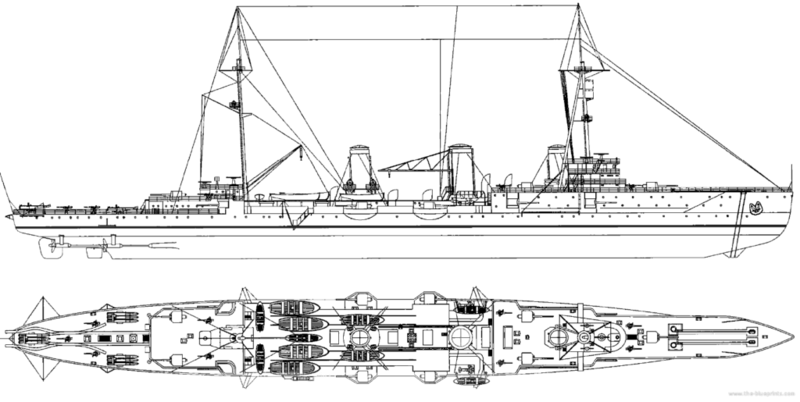 Although the Kavkaz was based on a hull first designed before ww1, her hull, engines and main accomodations were still usable. 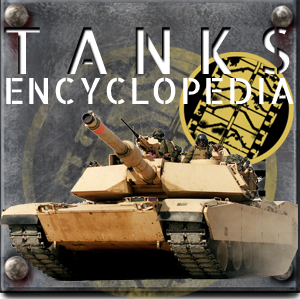 But basically all the superstructures were brand new, to serve best the new artillery turrets, and new wells and ammunition holds built inside the hull. Krasnyi Kavkaz was initially planned to receive eight 8-inch (203 mm) guns in four twin turrets (a stabdard design at that stage). But engineers quickly brushed aside this navy proposal given her narrow and light hull. A new design then plan three twin turrets with the new 57-caliber 180 mm (7.1 in) B-1-K gun under development. This also proved impracticable. 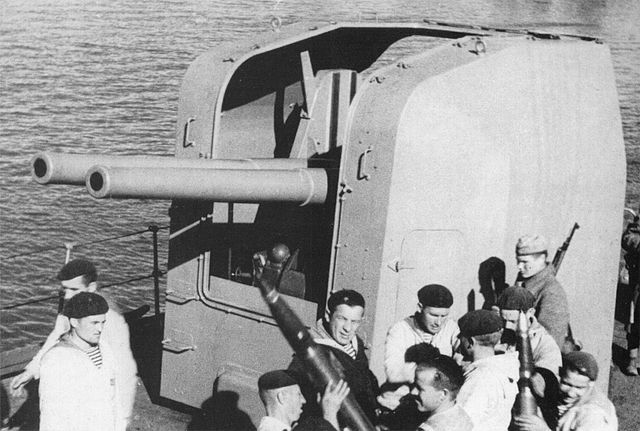 Soviet authorities eventually accepted a third design of four MK-1-180 single 180 mm gun turrets. needless to say, the original casemates for 130mm guns were removed. Her secondary armament was reduced to four 30-cal. 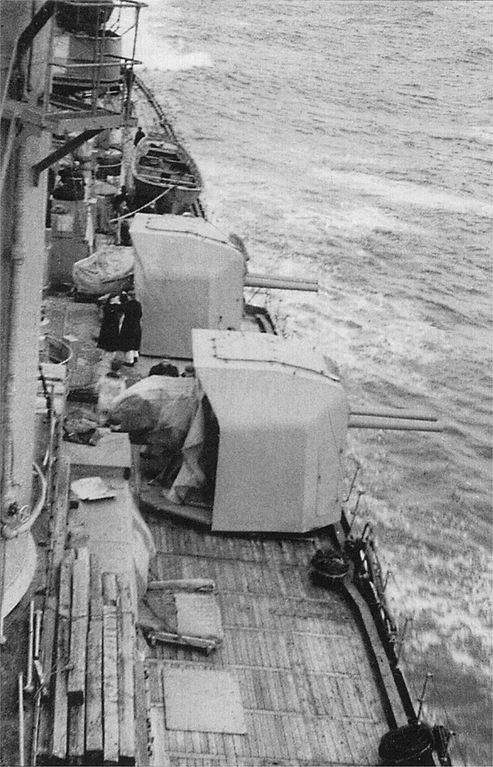 76.2 mm AA guns mounted each side of her funnels. The original internal torpedo tubes arrangement was dropped. 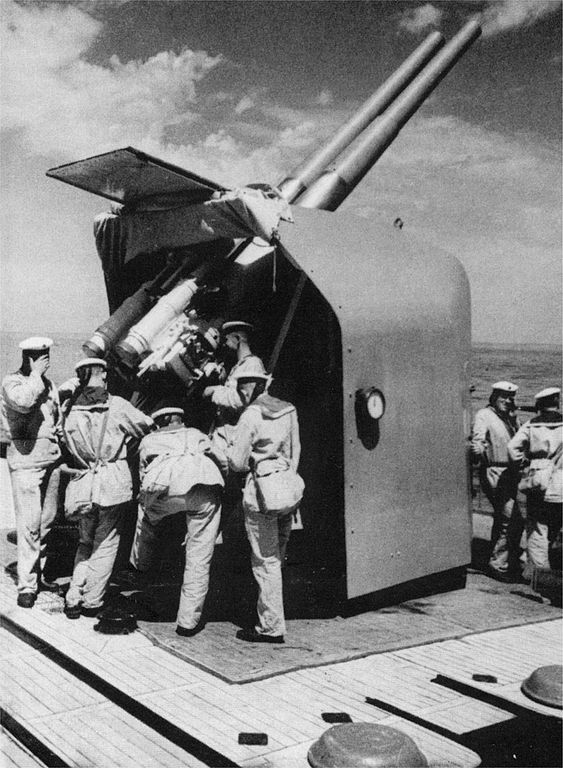 Instead four triple 533mm (21.0 in) banks were on the deck mounted on each side, abaft the forecastle break. She was also crucially given an aircraft-handling crane. 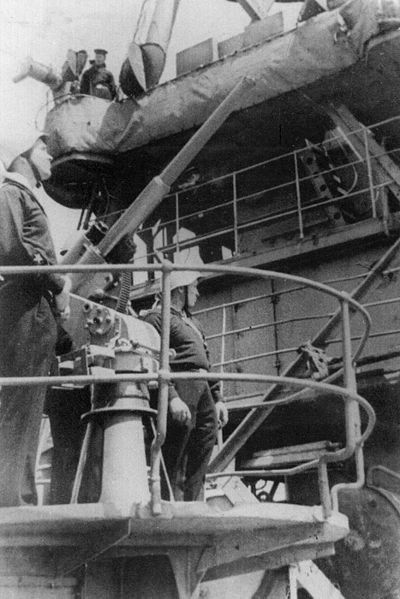 However she had to wait until 1935 to see her german-built catapult installed aft of her rear funnel. The deck also received mine rails (120 mines). 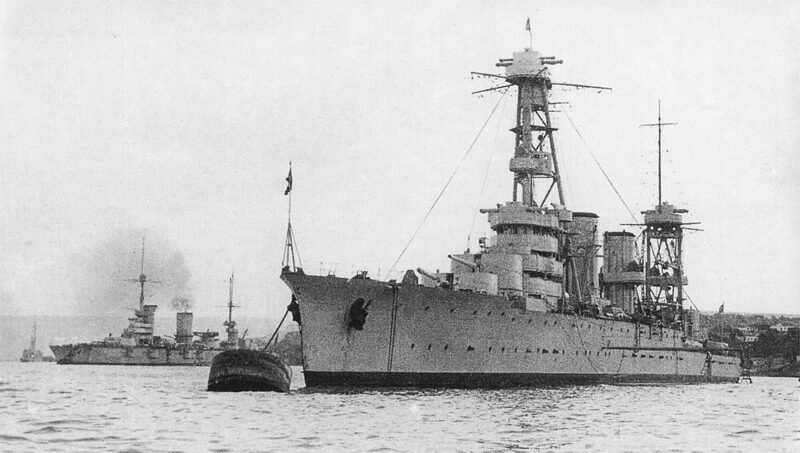 She collided with the light cruiser Komintern in May 1932 shortly after her commissioning. Her bow was extensively rebuilt and the hull lenghtened of up to 11 metres (36 ft). Her propulsion group comprised four shafts, coupled to Brown-Boveri geared turbines, fed by ten Yarrow oil-fired boilers. She developed a total of 55,000 shp (41,000 kW), for a top speed of 29 knots (33 mph; 54 km/h), and a range of 3,500 nmi (6,480 km) at 15 knots (28 km/h). 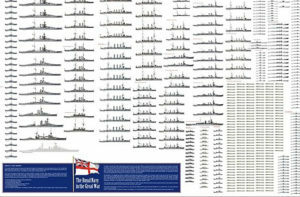 Her complement was 878 officers and sailors. Her armour was light, to say the least: The Upper and lower armoured decks were only 20 mm (0.79 in) thick each, the turrets 76 mm (3.0 in), the lower armour belt 76 mm (3.0 in) and the upper armour belt 25 mm (0.98 in) and the conning tower: 76 mm (3.0 in). 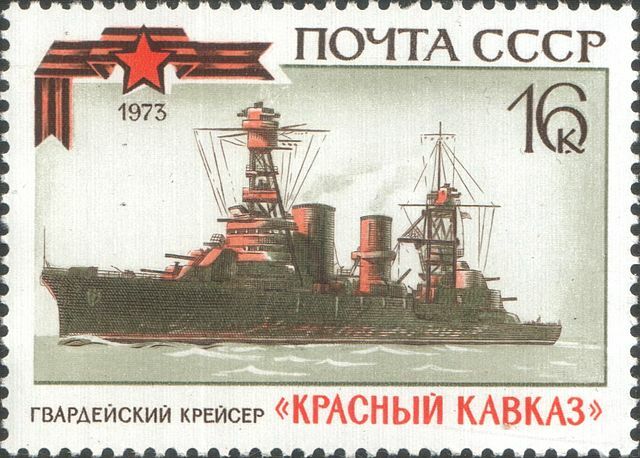 Ultimately, the Krasny Kavkaz (“Red Caucasus”), launched in 1916, was completed in 1932. In 1933, the “Red Caucasus” went beyond the Black Sea and made friendly visits to the ports of Turkey, Greece and Italy. At the time of the Winter war in 1939 her AA armament was changed from 4 x 45mm pieces to 8 x 37mm guns and 6 DHSK 12.7 mm heavy machine guns. 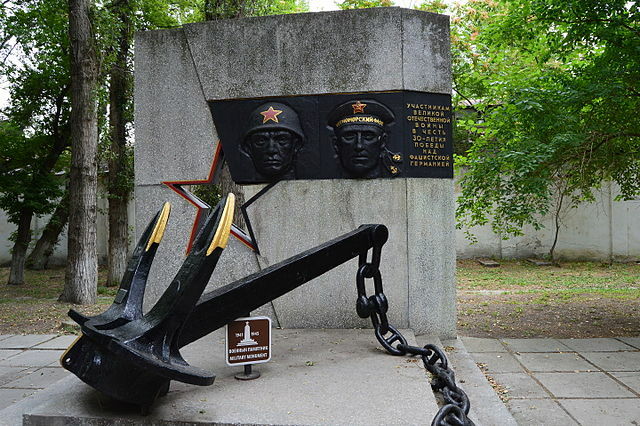 During the Great Patriotic War, the cruiser under command of officers AM Gushchina and VN Eroshenko operated near Odessa and Sevastopol, in Feodosia and near Novorossiysk. In 1941 she was damaged by the German coastal artillery, then the Luftwaffe in 1942 in Tuapse, and sent to Poti for repairs. She received on this occasion AA guns and the propulsion group of the cruiser Chervonia Ukraina, lost shortly before. For the first time she fired her main guns on September 11, 1941, on positions of German troops in the village of Ilyinka near Odessa. On the morning of September 21, the “Red Caucasus” took on board 696 men and commanders of the 3rd Black Sea Marine Regiment under command of Captain 1st Rank SG Gorshkov, leading the squad of ships, landing the detachment to the village of Grigorievka the next day at dawn, covered by artillery. By 4 o’clock in the morning, Krasny Kavkaz went back to Sevastopol. in the first half of October 1941 she held in continuous campaigns between Odessa and Sevastopol, participating in the evacuation of the troops of the Odessa defensive area. The brightest page in the history of this ship, perhaps, is his participation in the Kerch-Feodosia landing operation (December 28, 1941) having taken on board 1853 paratroopers, a battery of three-inch guns, 15 vehicles, as well as other military equipment and supplies, she headed the detachment from Novorossiysk Bay to land these in Feodosiya Bay, under heavy fire on the port facilities, railway station and piers. At dawn, the battle in Feodosia became even more intense and because of german batterie, the cruiser in two hours took 13 hits which caused seven fire breaks. Gaping holes were covered with improvised means. 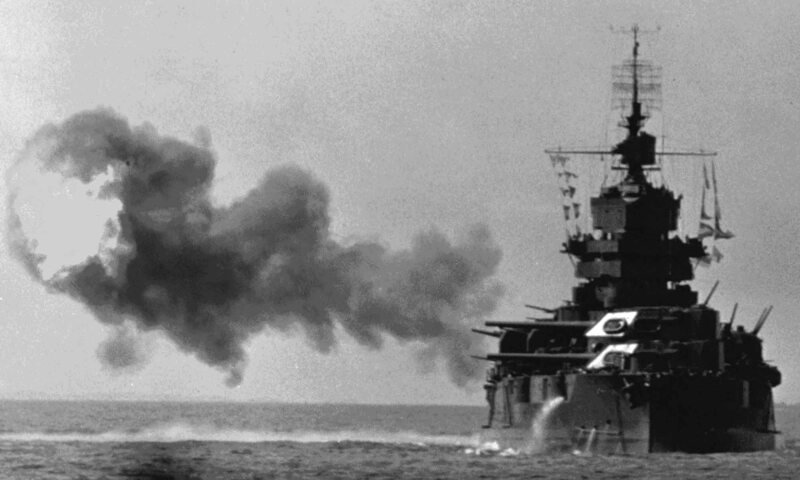 The next day, she sustained 25 attacks of enemy aircrafts. She left for Tuapse. On the morning of January 4, she again arrived in Feodosiya Bay to land more reinforcements. 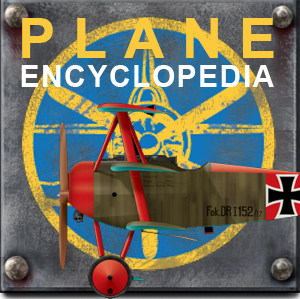 The cruiser was attacked by Stukas, her stern being thrown out of the water, the right propeller and the bracket of the left propeller shaft were torn off, the rudder buckled and jammed. The ship took about two thousand tons of seawater, her waterline was raised by 5 meters, and the deck up to the fourth tower disappeared into the waves. The ship had to wait through a storm and a blizzard until making it back to Tuapse and two days later in Poti for long repairs. By April 3, 1942 she and her crew were awarded the Guards title. The Javkaz crew honored members, the entire crew being awarded the Guards title. By that time, the ship had carried out 30 combat assignments including nine fire support of the ground forces, and two mine-cutting operations. She travelled about 14 thousand miles and transported more than 25,000 soldiers and commanders of the Red Army, wounded soldiers and evacuated citizens of Odessa and Sevastopol. She also suppressed 16 enemy artillery and mortar batteries, dispersed and destroyed up to 5 infantry battalions and with her anti-aircraft gunners repelled 67 raids and shot down 3 aircrafts. In 1944 her AA armament was reinforced by six twin 100 mm mounts, as well as four 37 mm AA guns and two additional 12.7 mm machine guns, then with the suppression of the hangar and catapult, and also the addition of two quadruple 12,7 mm mounts on her upper turrets. She survived the war and after a new refit to make it a training ship, and stayed in this role from 1947 until 1956, where she was used as a target for testing the SSN-1, the first Soviet anti-ship missile. She sank that year. Armament: 4 x 180mm (in), 4 x 100mm (in), 16 x 45mm AA (in), 4 x 12,7mm AA (0.5 in), 12 x 533 mm TTs (4×3), 100 mines, 3 seaplanes.